The great thing about ganache is its versatility. With one simple recipe of just two ingredients, it is possible to make a glaze, frosting, filling, mousse, or dip. And did I mention that it is delicious? Ganache can vary depending on the ratio of chocolate to cream, what type of chocolate is used, or at what temperature it is used. A thicker ganache is typically used to make chocolate truffles. A thinner ganache is used in fondues or as a glaze. Allow the glaze to cool, and when it thickens, it can be used to frost or fill cakes. You can even whip ganache to make chocolate mousse. Top left: Semisweet ganache poured on as glaze. 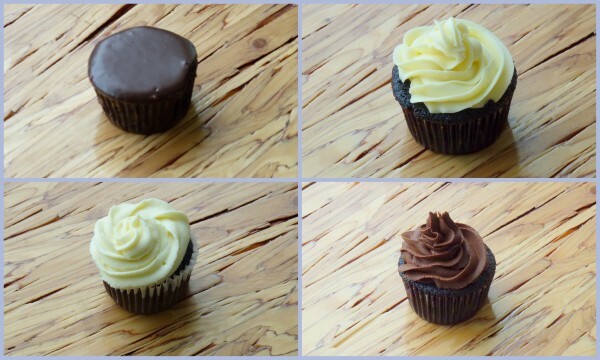 Top right: White chocolate ganache, cooled and piped onto cupcake. Bottom left: Whipped white chocolate ganache with mousse-like texture. Bottom right: Whipped semi-sweet ganache. Some people also prefer to add other ingredients to their ganache. Some will add butter or corn syrup to give a glaze extra shine. Other flavourings such as vanilla or liqueurs can be used to boost flavour. Once you’ve figured out which ratio of chocolate to cream will be best for your purposes, the basic steps in making ganache are really easy. 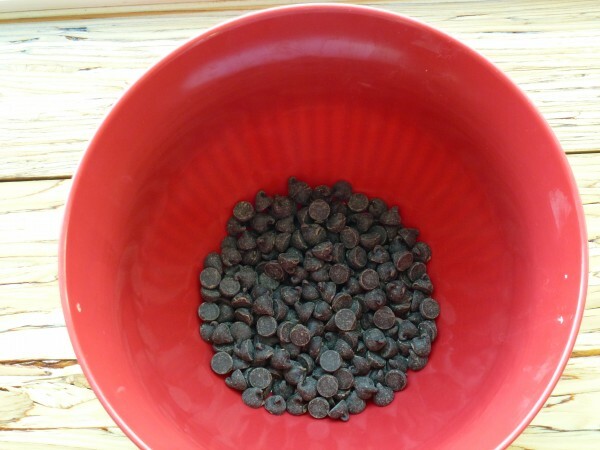 First, you want to chop the chocolate so that it will melt uniformly and place the chocolate in a bowl. You can also buy melting chips to save you the hassle. For this batch of ganache I used regular semisweet chocolate chips (bad Ashleen!) but it actually turned out well. Heat the cream to the point just before it boils. The French refer to this as frémissement, or the point when you see the first sign of movement or bubbles beginning to form. Once you reach this point, remove the cream from heat and pour over the chocolate. Allow the cream and chocolate to sit for a few minutes to allow the chocolate to melt. Then, whisk until all the chocolate is completely melted and you have a smooth and uniform mixture. For making sour cream ganache, the sour cream and chocolate should be placed together in a double boiler and stirred until completely uniform. Now depending on the temperature of the ganache you can use it for various purposes. If you keep the ganache warm, you can dip fruit in it for a fondue. To use it as a glaze, allow approximately 10 minutes cooling time so that it thickens up slightly. If you want to pipe decorations on a cake, allow it to cool for a few hours or to desired consistency. For whipped ganache it is essential that the ganache be at the right temperature. The proper temperature is crucial for making whipped ganache because of the fats that are present. If the ganache is still warm, the fat in the cream will be melted and will not be able to hold air bubbles. This is why cream must always be cold for whipping. If you try to whip ganache that is too warm, you may feel like you are whipping a never-thickening chocolate sauce. If this happens, allow the cream to cool longer. On the other hand, if the ganache is too cold it won’t whip properly either. If is is too cold, the cocoa butter in the chocolate will be hard and can cause the ganache to become grainy. For perfect whipped ganache, it should be at room temperature. This means leaving the ganache to cool for several hours in the fridge and then allowing it to sit out for an hour to come to room temperature. Of course, the quantity of the ganache will determine how long it will take to arrive at room temperature. The lesser the amount, the quicker it will cool. 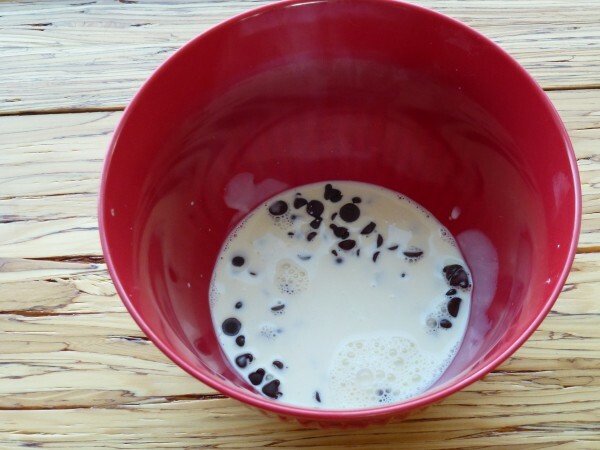 You may speed up the cooling process by placing the bowl in an ice water bath and stirring the ganache. Once the ganache has reached room temperature, whip it only until soft peaks form (i.e. do not try to whip it all the way to stiff peaks or it will become grainy.) The ganache will continue to firm up after you have whipped it. You shouldn’t need to whip it longer than a minute or two. Once you’ve whipped it to soft peaks, allow it to cool in the fridge and it should firm up nicely with a smooth texture. If you find that your ganache has gone grainy, you can try to salvage it by placing it over a double boiler or hot water bath for about 10 seconds at a time, whisking, and then returning it to the heat to attempt to re-melt the chocolate. You may need to rewhip the ganache briefly once it returns to room temperature. I’ve found that white chocolate and milk chocolate ganache are more prone to a grainy texture than semisweet chocolate; however, this could also be due to the quality of the chocolate I’ve used. It is possible to get perfectly smooth ganache with all 3 types of chocolate as long as you are careful not to over whip. 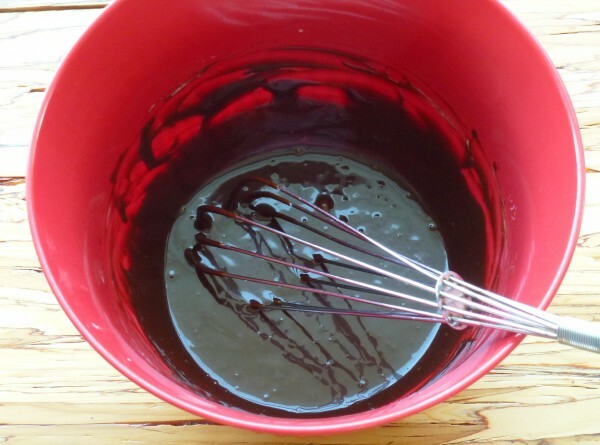 Another problem that can sometimes occur when making ganache, is that the emulsion begins to separate, resulting in a broken ganache. It will appear as an oily layer separating from mixture. This occurs because of the cocoa butter separating out. If this happens, it may be fixable by adding a little more warm cream (one tablespoon at a time) and stirring until smooth. By doing this, you will be altering the ratio of chocolate to cream, but better that than letting the ganache go to waste!